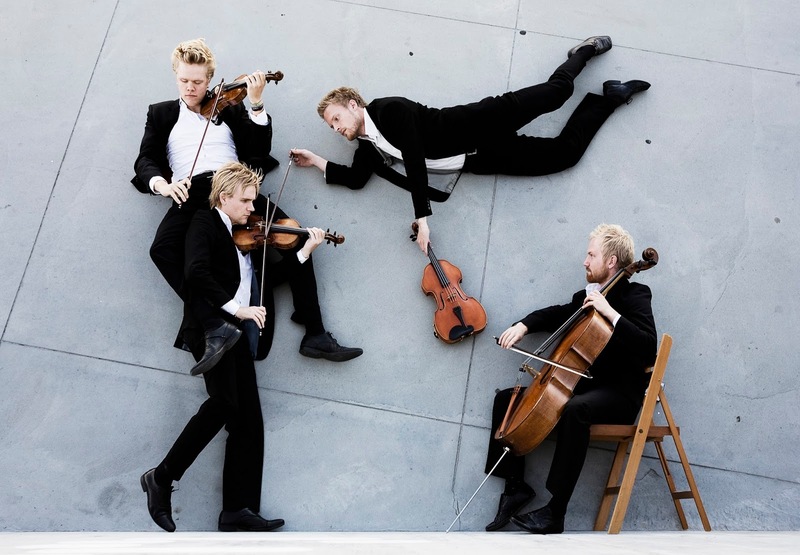 The Danish String Quartet at Zankel Hall. Layabouts: the Danish String Quartet defy gravity. 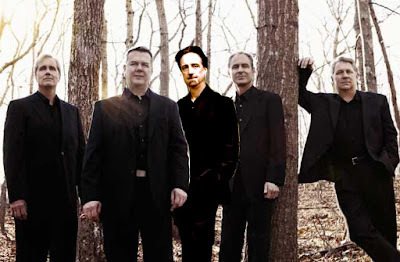 Photo © ECM Records. 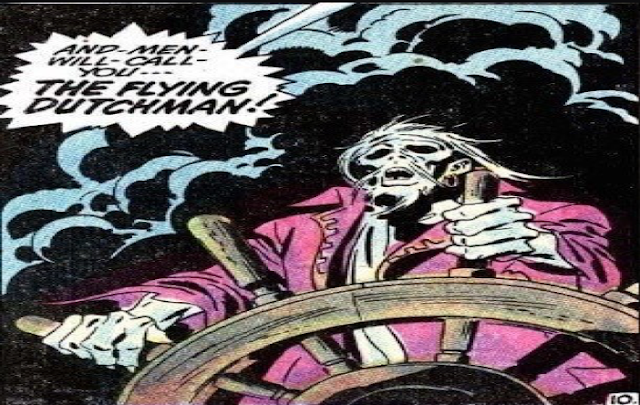 The last utterance by a major composer is not always profound. But in the case of Dmitri Shostakovich and Franz Schubert, their final works are pinnacles of the chamber music repertory. 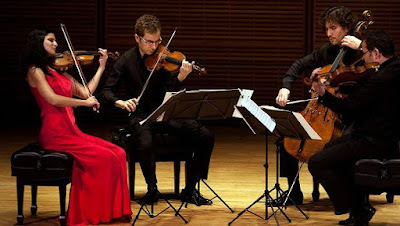 Both of these valedictory compositions were programmed for Wednesday night's concert by the Danish String Quartet, who brought their clean-limbed, slightly astringent approach to chamber music to Carnegie Hall's subterranean Zankel Hall. 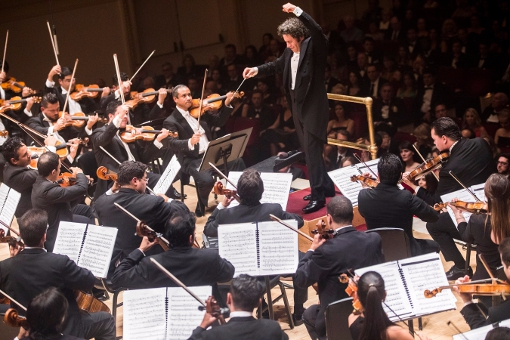 The Warsaw National Philharmonic Orchestra returns to New York. at Alice Tully Hal. Photo courtesy the Warsaw National Philharmonic Orchestra. It is a rare treat to hear the Orkiestra Filharmonii Narodowej (Warsaw National Philharmonic Orchestra) on a concert stage in New York. On Monday night, this Polish orchestra played at Alice Tully Hall under the baton of current music director Jacek Kaspszyk. Although not well known in this country, the WNPO has a long history, having been founded in their home city in 1901. 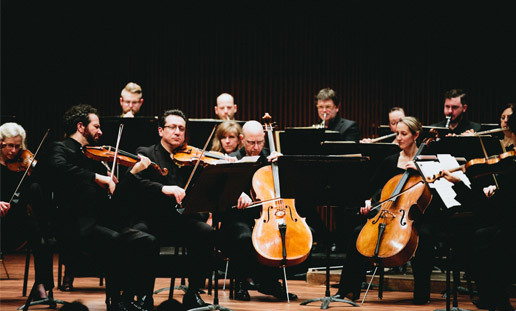 This was the ensemble's first visit to the city since 2008, offering a program featuring works by Johannes Brahms, Frederic Chopin and Mieczysław Weinberg. The Center for Contemporary Opera unveils Jane Eyre. It's up to the woman upstairs: Jennifer Zetlan as Jane Eyre. Photo by Steven Pisano © 2016 Steven Pisano Photography, courtesy CCO. One of the best things about the new operatic adaptation of Charlotte Brontë's Jane Eyre is that it doesn't tell the whole story. Written by composer Louis Karchin, this opera is at once a retelling of the celebrated novel and something of a throwback to the way opera were written a century ago. 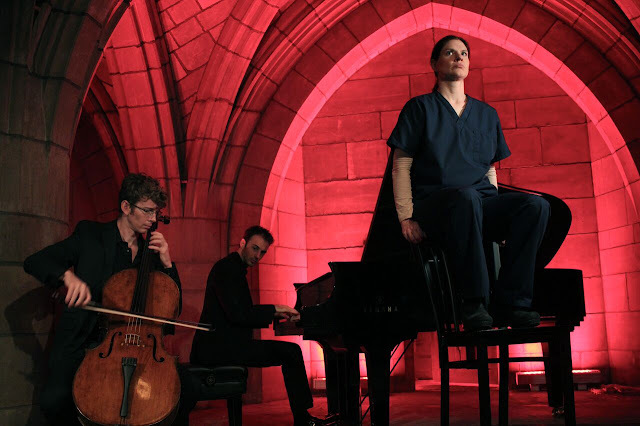 The show was mounted in a handsome production at the Kaye Playhouse at Hunter College, as the big-budget centerpiece of the current festival season of the Center for Contemporary Opera. 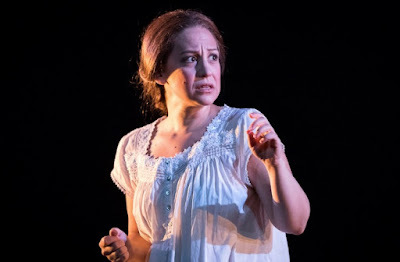 The libretto (by Diane Osin begins the tale in Part III of the novel, with Jane (Jennifer Zetlan) already situated as a governess at Thornfield, the vast and spooky house owned by Edward Rochester (Ryan MacPherson.). The Belcea Quartet play Schubert and Shostakovich. Antoine Lederlin, cello, Krzysztof Chorzelski, viola) in concert. Photo courtesy Carnegie Hall. Although they lived in very different times, there are some parallels between the composers Franz Peter Schubert and Dmitri Shostakovich. Both men composed from a very early age. They lived in troubled, though very different eras, and faced incredible odds. For Schubert, his demon was a protracted and fatal illness that claimed his life at 32. Shostakovich's enemies were depression and the unpredictable political environment of Soviet Russia, where one false move could have fatal consequences. Violinist Leonidas Kavakos conducts the New York Philharmonic. 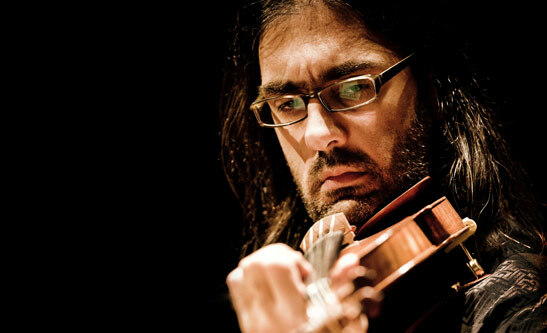 The violinist Leonidas Kavakos led the New York Philharmonic on Friday morning. The New York Philharmonic returned to Lincoln Center this week, with a program of Bach, Busoni and Schumann. That’s fairly standard, except this brace of concerts under the direction of the program's principal soloist: the Greek violinist Leonidas Kavakos. Mr. Kavakos is the orchestra's 2016 Artist in Residence, an acclaimed soloist and a frequent visitor to the stage of David Geffen Hall. For part of Friday’s 11am matinee concert, he traded his vintage violin and bow for the more traditional little white baton. 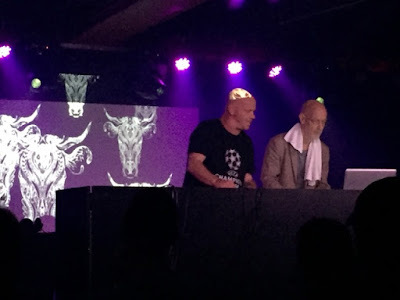 The Orb descend on Webster Hall. The Orb: Thomas Fehlmann and Dr. Alex Patterson at Webster Hall. The sound came as a low, throbbing pulse, teasing at the senses and swelling, growing in volume and rising slightly, ever so slightly in pitch. It beckoned from two rooms away, deep in the maze that is Webster Hall, crooning and crooning its tendril-like fingers. The swelling sound called again, drawing the hypnotized and helpless listeners into the vast, lounges cavern of the Marlin Room, where The Orb were making their New York stop on their current North American tour. Dream Theater plays The Astonishing in Newark. Surrounded...by drums. Dream Theater lead singer James LaBrie sings The Astonishing. Photo from the video of "Our New World" © 2016 Dream Theater/Roadrunner Records. The gulf between grand opera and heavy metal seems vast. These two genres of music commanding different audiences that are equally passionate about their artists. And yet, some intrepid bands have thrown bridges across that gulf, writing astounding rock operas that swell and surge with orchestral power and epic, complex storylines as convoluted as the grandest opera. 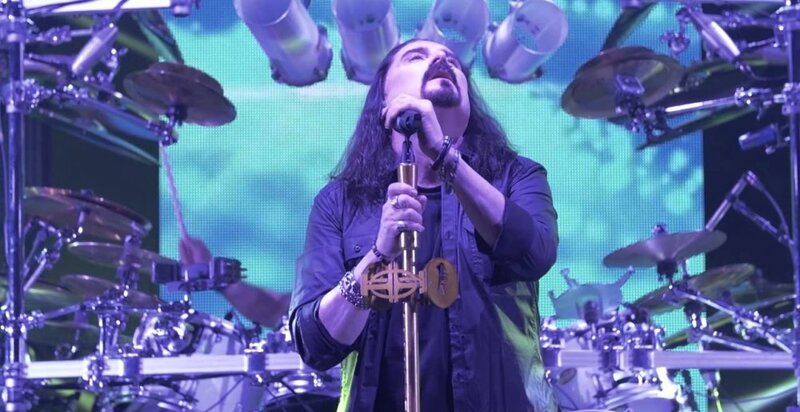 On Wednesday night, the veteran progressive metal band Dream Theater brought their touring version of their new record The Astonishing to Prudential Hall at the New Jersey Center for Performing Arts. 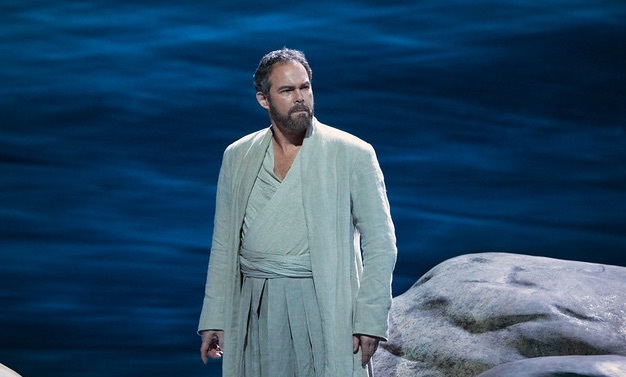 The Metropolitan Opera (finally) brings back Guillaume Tell. Lone warrior: Gerald Finley as William Tell in the Met's Guillaume Tell. 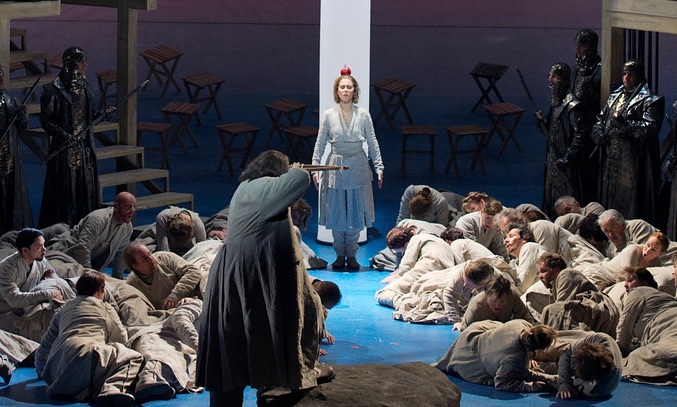 It can be argued that Giacchino Rossini's Guillaume Tell is his finest score. It is a sprawling four-act portrait of the Swiss people rising up in rebellion and throwing off the yokes of their Austrian masters, full of musical invention and emotional moments that move the soul. Rigorous vocal demands and the problems of staging an opera set mostly in the Swiss Alps and featuring two boat trips and two huge storm scenes, have combined to keep Tell from the stage of the Met. The company last produced this show in 1931. "Boys versus girls in the World Series of love." 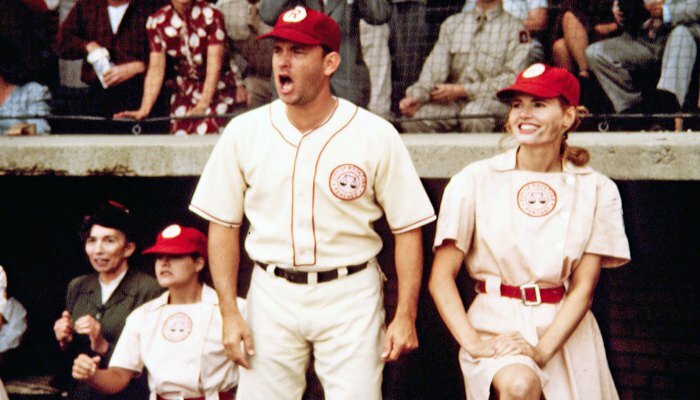 here's Tom Hanks and Geena Davis in A League of Their Own. Image © 1992 Touchstone Pictures/The Walt Disney Company. Cosí fan tutte is the last of the three operas Mozart wrote in close collaboration with librettist Lorenzo da Ponte. But unlike their preceding collaborations, this opera is an original story by da Ponte, its impetus coming from a phrase in their earlier Le Nozze di Figaro. The title translates loosely as "Women are like that." It comes from the longer phrase "Così fan tutte la belle", uttered by the sarcastic Don Basilio in that earlier opera. Unfortunatly for Mozart and Da Ponte, the death of Emperor Joseph II squashed enthusiasm for their new opera in Vienna, and it closed after only five performances. 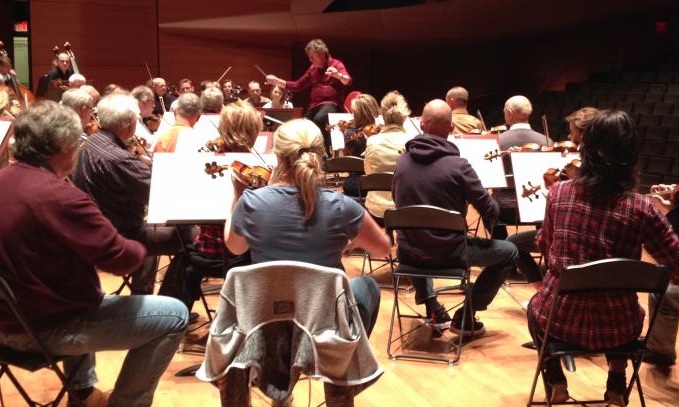 The Saint Paul Chamber Orchestra opens the 92nd St.Y season. The musicians of the Saint Paul Chamber Orchestra. Photo © 2016 courtesy the 92nd St. Y. The chamber orchestra, a mid-sized entity that usually operates without the gesticulation and showmanship of a conductor, is something of a throwback. Performances evoke the 18th century, before Felix Mendelssohn introduced the idea of leading with a baton and when composers, soloists and kapellmeisters in France and Germany led orchestras from the keyboard or with the bow of the first violin. On Saturday night, the St. Paul Chamber Orchestra made a visit to New York, playing the opening concert of the 92nd St. Y's subscription season in the opulent and bright acoustic of Kaufmann Concert Hall. 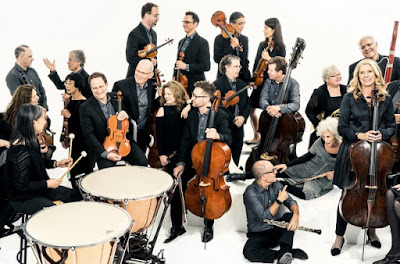 The New York Philharmonic presents Circle Map. 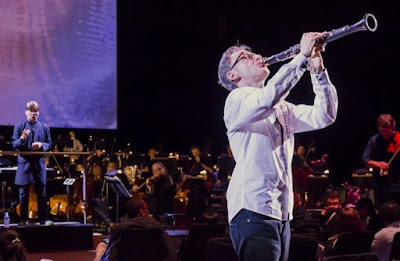 Clarinetist Kari Krikku (right) makes his escape during Kaija Saariaho's D'om le Vrai Sens. Photo by Chris Lee for the New York Philharmonic. The Park Avenue Armory hulks on the Upper East Side, its brick ramparts a brusque reminder of this country's long military history. In this century though, it is a space for the avant-garde in art, music and theater an ideal laboratory for unusual programs that require breadth of imagination as well as breadth of physical space. 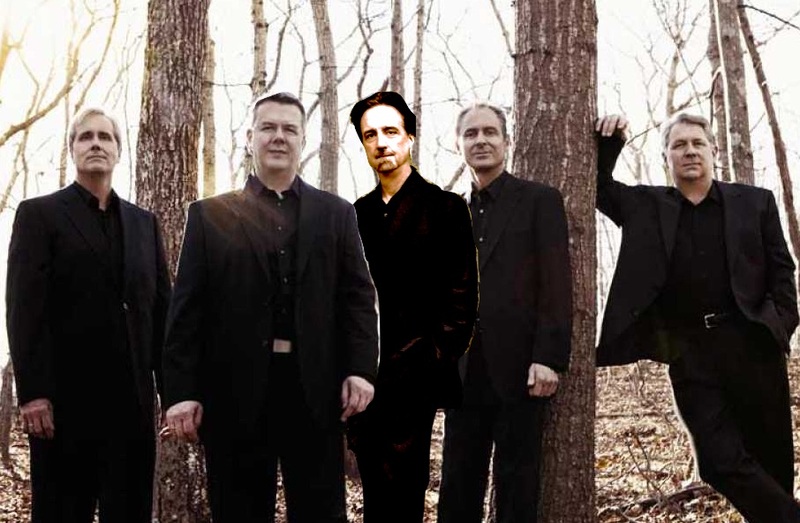 Their latest offering is Circle Map, a 90-minute concert program focusing on the music of Finnish compoer Kaija Saariaho, one of the few women who have made an international reputation as a fearless explorer of the musical avant-garde. 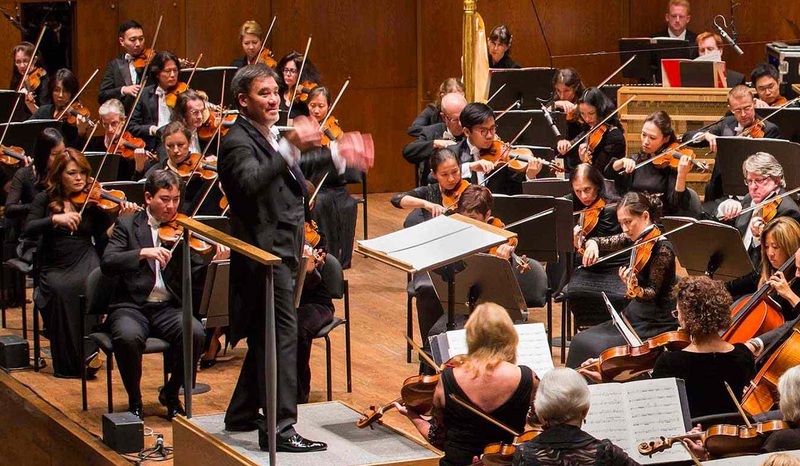 The Orchestra of St. Luke's opens its Carnegie Hall season. 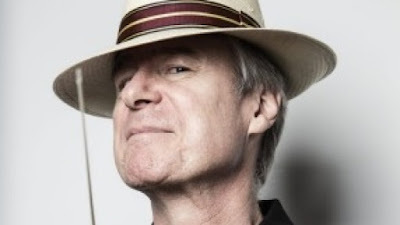 The man in the hat: David Robertson. This is a banner year for the Orchestra of St. Luke's, the middleweight champ among New York's standing orchestra ensembles. On Thursday night, the Orchestra celebrated thirty years of subscription concerts at Carnegie Hall with a program offering a thorough exploration of two very different sides of Beethoven, as well as five Wunderhorn songs by Gustav Mahler sung by the veteran baritone Thomas Hampson. The guest conductor was David Robertson, a name well-known to Carnegie concertgoers for his visits at the helm of the St. Louis Symphony. 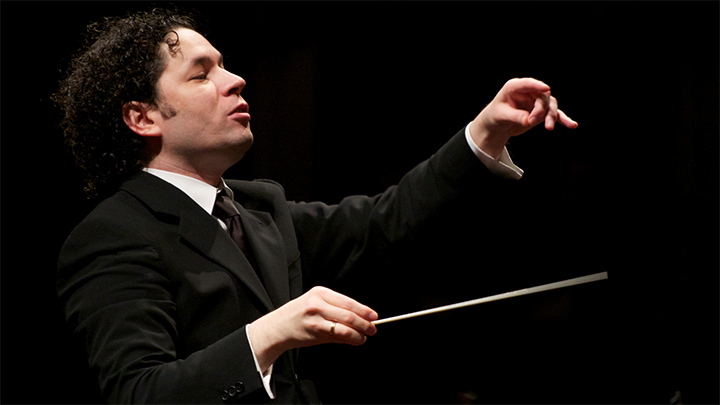 Gustavo Dudamel conducts the Turangalîla-Symphonie. Olivier Messiaen's Turangalîla-Symphonie is one of the most original and uncompromising large-scale compositions for orchestra of the 20th century. Its 1949 premiere polarized the music world. Sixty-seven years later, performances of this work have the power to enthrall or repel even the most hardened audience. Because of its unwieldy length, stringent instrumental requirements, it is not heard often. It was a bold choice for Gustavo Dudamel and the Simón Bolivar Symphony Orchestra of Venezuela and their leader Gustavo Dudamel, forming the entire content of Saturday night's concert at Carnegie Hall. Spicy South American music with the Simon Bolivar Symphony Orchestra. Gustavo Dudamel at the helm of the Simón Bolivar Symphony Orchestra of Venezuela. The career of Gustavo Dudamel has been inextricably entwined with the rise of Venezuela as a source of classical music performers, thanks to that country's El Sistema program that promotes music education to youth through the formation and training of orchestras. The Simón Bolivar Symphony Orchestra of Venezuela is the flagship of that program. On Friday night, they played the second of three concerts at Carnegie Hall, and the first program following the season opening gala the night before. For the first time in almost a century, the Met takes aim at Rossini's last opera. A climactic moment from Act III of Guillaume Tell. Photo by Ruth Walz for the Dutch National Opera. © 2016 The Metropolitan Opera. The Metropolitan Opera finally grants the wishes of many Rossini fans (this writer included) with the first new production of William Tell at the theater since 1931. 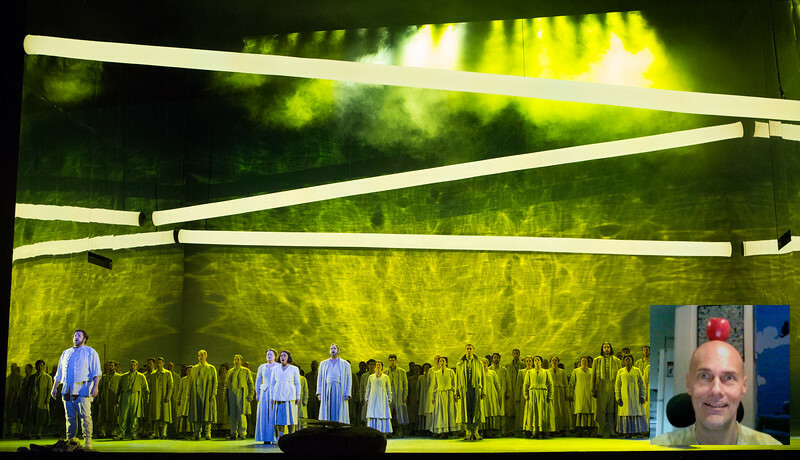 For the first time at the Met, the opera will be sung in its original French. at Carnegie Hall. Photo by Chris Lee © 2016 Carnegie Hall. The conductor Gustavo Dudamel and the Simon Bolivar Symphony Orchestra of Venezuela create a sensation no matter where and when they play. 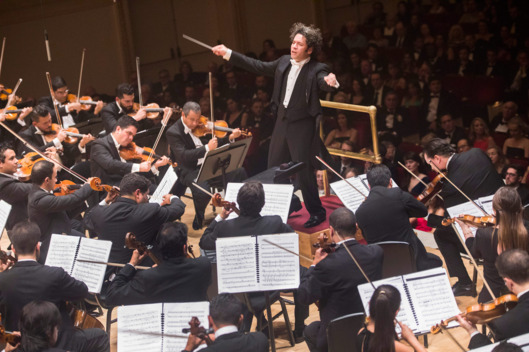 This year, Mr. Dudamel and his musicians were Carnegie Hall's choice to open the 2016-17 season. On Thursday night, conductor and orchestra chose two 20th century orchestral works and a globe-trotting selection of five dances from five very different composers. Gemma New sparkles at the New Jersey Symphony Orchestra. Meet the New boss: Gemma New conducted at NJPAC on Thursday. Photo by Fred Stucker © 2016 IMG Artists. For centuries, the podium in front of a symphony orchestra has been a place reserved for men. 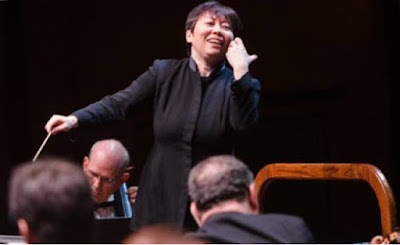 However, this year the New Jersey Symphony Orchestra turned the role of music director over to a woman for the first time, appointing Xien Zhang to the post. 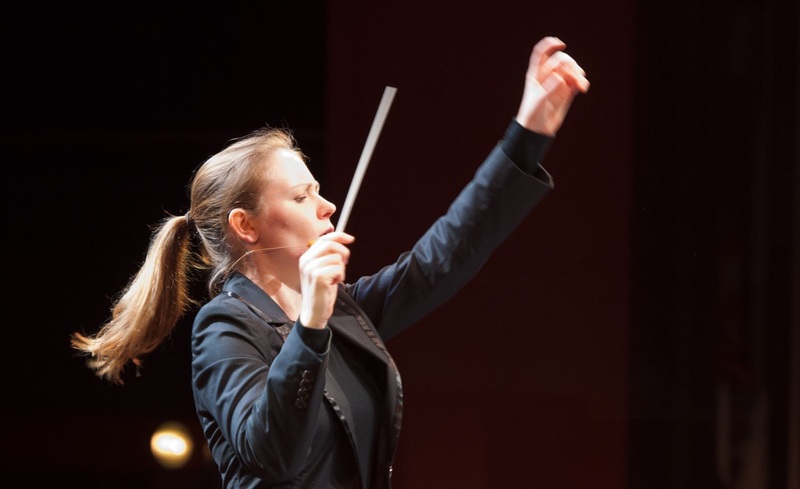 On Thursday afternoon at NJPAC, the orchestra was led by yet another female conductor: New Zealand-born Gemma New. The one-time associate for Ms. Zhang's predecessor Jacques Lacombe, she currently leads the Hamilton Philharmonic Orchestra and is resident conductor at the St. Louis Symphony. She is at the vanguard of female conductors eager to step out of the shadows and onto a podium. Alan Gilbert conducts Bartòk, Ligeti and Beethoven. Since taking the helm of the New York Philharmonic, Alan Gilbert has always presented listeners (professional or otherwise) with a frustrating paradox. For the conductor, who is in the early weeks of his final season as music director seems to be two very different conductors. He is composed and confident in modern music, exposing his audience to composers lie Magnus Lindberg and Györgi Ligeti. However, in more traditional, "classical" repertory he has faltered with slow tempos and muddled interpretations, specifically in the symphonies of Beethoven and Brahms. The Met revives L'Italiana in Algeri. 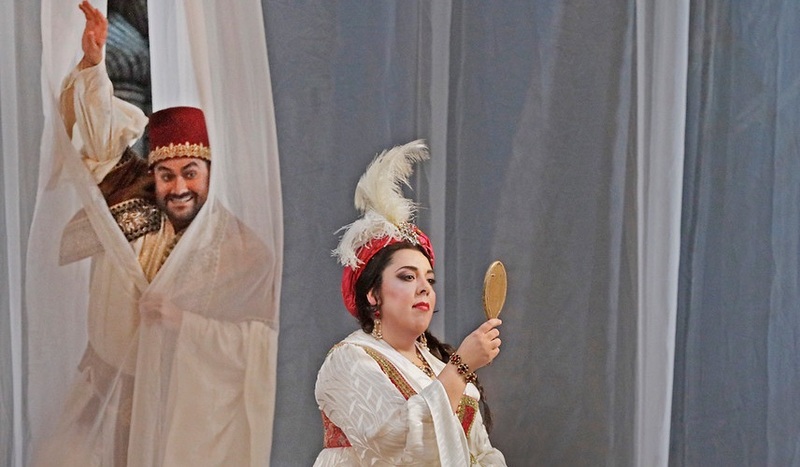 From Mozart's Die Entführung aus dem Serail to John Adams' The Death of Klinghoffer, the Muslim world has long been fertile ground for opera composers. On Tuesday night, the Metropolitan Opera revived L'Italiana in Algeri, a Rossini comedy that treats the efforts of an Algerian bey (ruler) to recruit an Italian girl for his harem as the broadest possible farce. The opera marked James Levine's first performance in the Met pit in his new role of Music Director Emeritus, a role he embraced last season. Magdalena Kožená makes her Philharmonic debut. 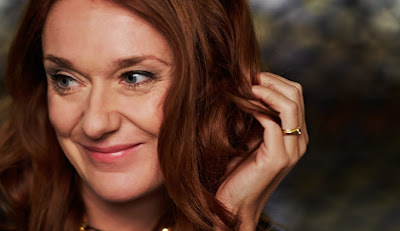 Mezzo-soprano Magdalena Kožená made her debut with the Philharmonic last week. Photo by Harald Hoffmann © 2016 Deutsche Grammophon/UMG. In his eight years at the helm of the New York Philharmonic, music director Alan Gilbert has had a mix of successes and failures. 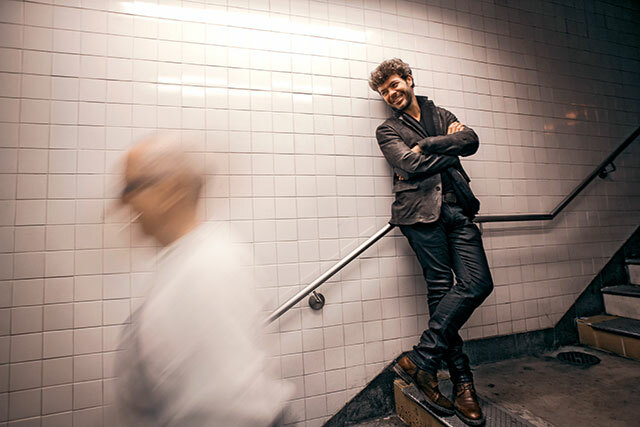 His strengths are with big, symphonic works and opera, with lesser results coming when he veers into the repertory of the baroque and classical periods. As he enters his final year leading the orchestra, Mr. Gilbert has wisely selected a series of concert programs that play to his strengths. 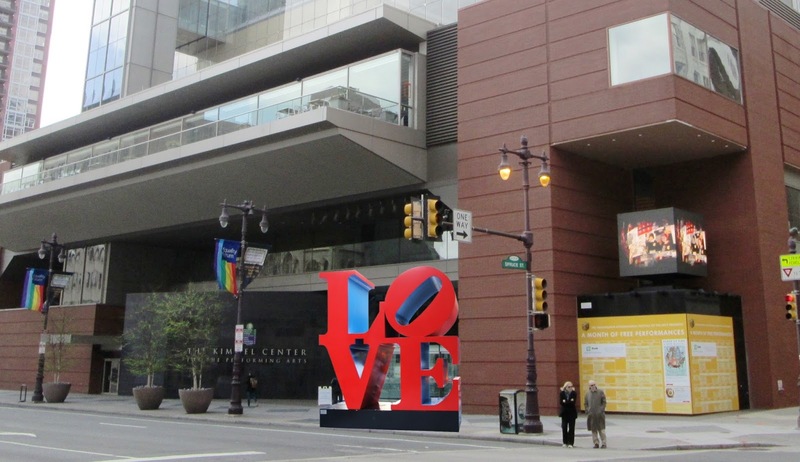 Three day strike by the Philadelphia Orchestra is at an end. Peace breaks out in the City of Brotherly Love. Yes, Virginia, that's a photo alteration, but it beats a picket line. 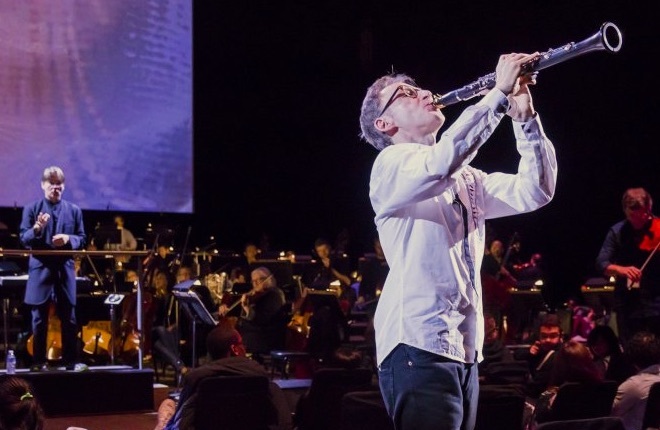 Two days after a strike cancelled their opening night gala and an entire weekend worth of concerts, the Philadelphia Orchestra has gone back to work. On Site Opera stages a gala benefit at The Harmonie Club. 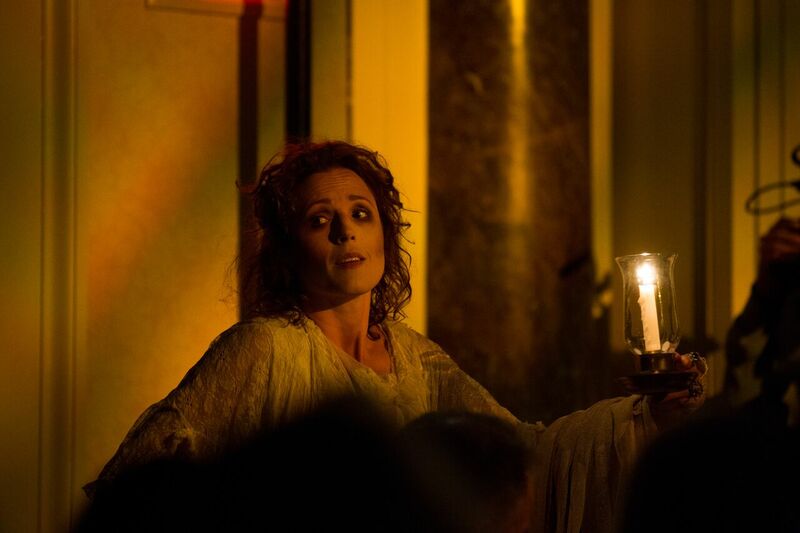 Not the marrying kin: Leah Partridge as Miss Havisham at On Site Opera. 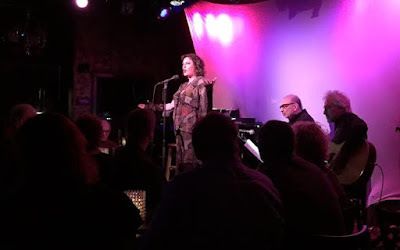 Photo by David Andrako for On Site Opera. The Harmonie Club stands on E. 60th St. just steps from Central Park. Its staid exterior protected by a blue awning and an antique revolving door, surmounted by a polite plaque reading "Members Only." Founded in 1852 by German Jews who were blackballed from the nearby Metropolitan Club, it is New York's second oldest continually operating gentleman's club, a throwback to a New York that now mostly exists in the imagination of writers.